Jim and Linda Pearson started Pearson Mechanical in 1982 and with hard work and determination, lots of prayer and dedication, have seen PMI through to today. Jim has extensive experience in the air conditioning and plumbing business and because of his integrity, loyalty and hard work, the business has survived many years and lots of economic ups and downs. Linda has also worked in the business for many years and her background in banking and accounting has given Pearson a stable foundation. Together, Jim and Linda have now passed on a business that is known for integrity, honesty and quality in a challenging industry! 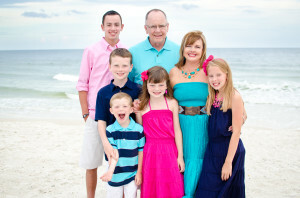 As Jim and Linda move out into retirement, they enjoy spending time with their 5 grandchildren, traveling, and deepening relationships with their friends at their church. They are also actively moving into ministry work with the Gregg Pearson Foundation. Jim and Linda will be serving as shepherds for the ministry and will take an active role in meeting with the individuals the foundation is assisting. This is a very exciting new experience for Jim and Linda and the GPF will be blessed to have them fulfilling this vital role. For more info on the GPF, go to www.greggpearson.org.